Built in 1939 for the Wilson Tobs of the original Coastal Plain 'D' League, Fleming Stadium has always served as a stepping stone for some of our country's greatest ballplayers, entertainers and politicians. From Ted Williams and Mickey Mantle to Elvis Presley, Kevin Costner and New York City Mayor Fiorello H. La Guardia, Fleming Stadium's 79 year history is lined with the heroes of our national pastime and the cultural leaders of our society. Used primarily today as the home of the modern-era Wilson Tobs of the Coastal Plain League, the Post 13 American Legion program and the North Carolina Baseball Museum, Fleming Stadium is still vibrantly hosting our national pastime's past, current and future stars. 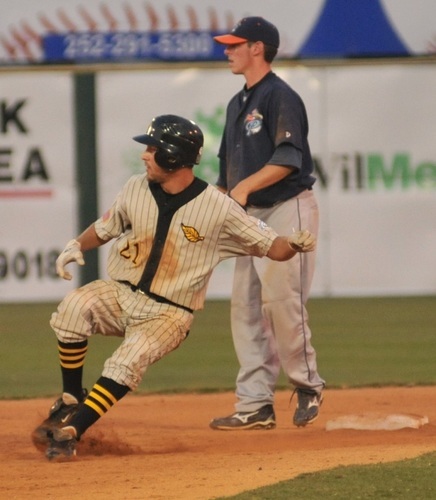 Fleming Stadium's imporatance in the baseball community has continued to grow with age by hosting over 100 baseball games annually and operating from February to November. Fleming hosts the Conference Carolinas Baseball tournament and the NCISA's spring Single A Baseball Championships, as well as welcomed the CPL All-Star game in 200, 2005, and 2012. Experiencing a number of stadium renovations in the past decade, Fleming Stadium is still known in Wilson and eastern North Carolina as 'the place to be' on a sultry, summer evening. Perhaps it is the moniker that has allowed Fleming Stadium to persavere through seven decades of social revolutions, world wars and more recently, the 'digital age'. Originally utilized by the Minor League Coastal Plain League, Fleming Stadium has also played host to the Bi-State League and the Carolina League. It was last used professionally by a Carolina League co-op franchise in 1973. Currently, Fleming Stadium is used by the Coastal Plain League Summer Team the Wilson Tobs. During it's Carolina League days, Fleming Stadium was most utilized by the Minnesota Twins/Washington Senators. 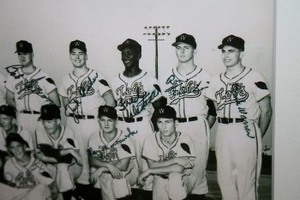 The Twins/Senators played as the Tobs for 10 years, starting a split season in 1957, and then from 1960 until 1968. Other affiliations while with the Carolina League include the Baltimore Orioles (1 Year), the Pittsburgh Pirates (1 Year) and the Philadelphia Phillies (1 Year). 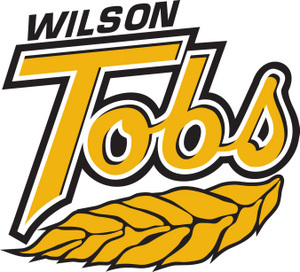 All of these affiliations were under the name, the "Wilson Tobs". 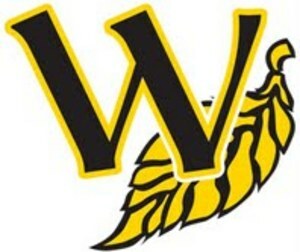 Tobs came within one game of making it to the Petitt Cup Championship Series, falling to Peninsula Pilots. 2016 Tobs Coastal Plain NCAA 30 24 E2 Aaron Lynch 40,705 Tobs came within one game of making it to the Petitt Cup Championship Series, falling to the Peninsula Pilots. 2018 Tobs Coastal Plain NCAA 22 23 E1 Bryan Hill 41,592 Tobs came within one game of making it to the Petitt Cup Championship Series, falling to the Morehead City Marlins.